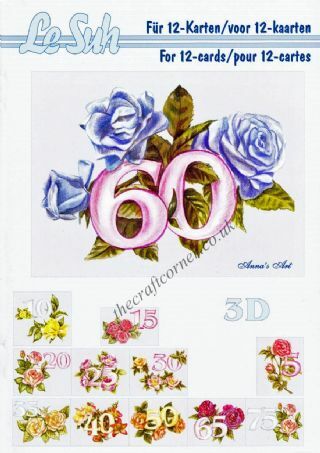 3d decoupage A5 block with designs to make 6 beautiful toppers with a hint of romance. Create 6 greeting card toppers with designs that have the theme of love. The block includes the backing paper, decoupage, embellishments and ideas on how to create each design. Designs vary and the toppers can be used for a birthday, wedding anniversary, new job, new home and congratulations cards. The colours are beautiful soft hues of pinks, blues, green and sepia. The shapes are already cut out and you can either flat decoupage the shapes or layer them in the order shown to create the 3d effect. Folded card and adhesive is not included. Ideal for card making, scrap booking and all paper crafts. Own Love Is In The Air 3D Die Cut Decoupage A5 Block By Studio Light? Why not be the first to leave a review.